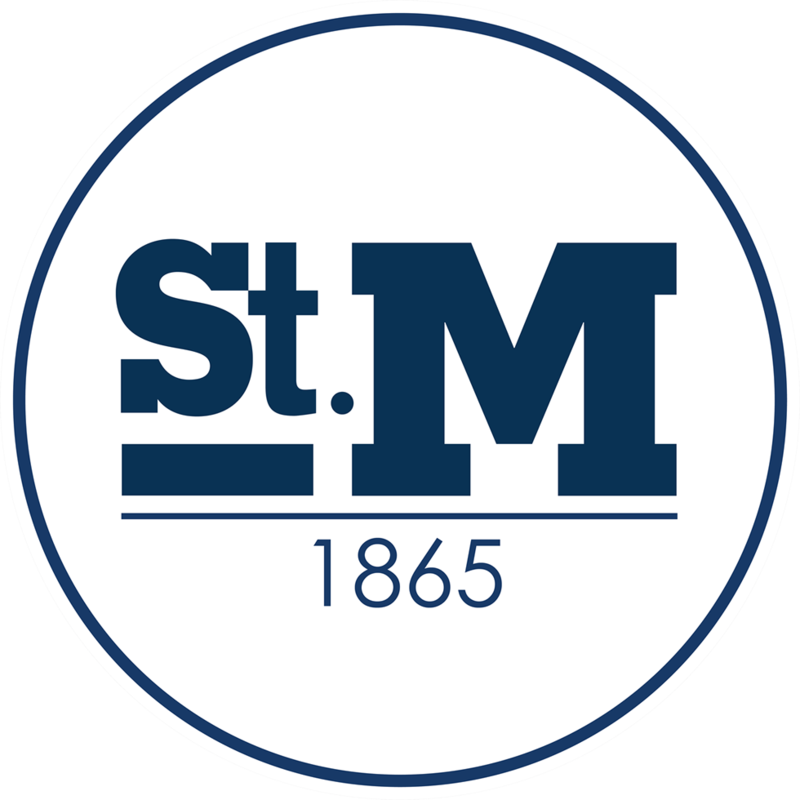 St. Mary’s reaped the rewards of stellar boys and girls soccer seasons, with each Crusader squad landing five players on the District 5 first team in all-conference voting recently by the league’s coaches. 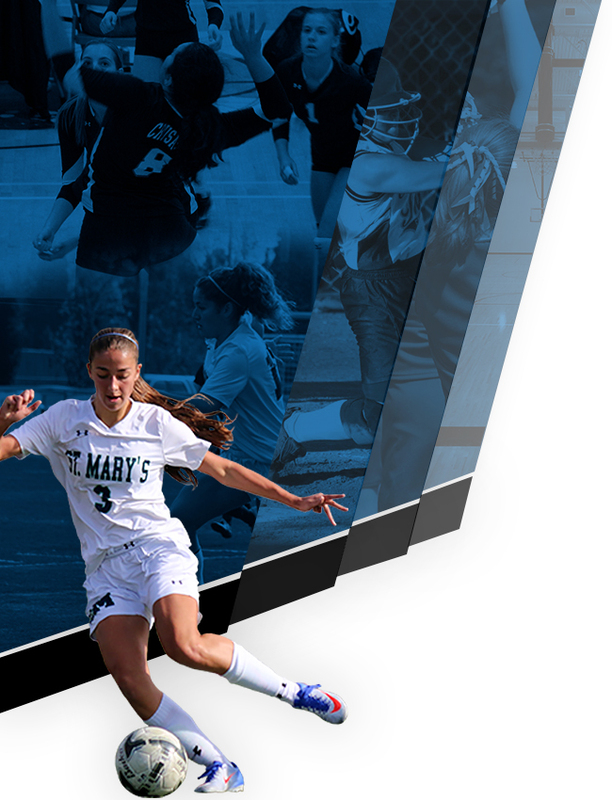 St. Mary’s senior forwards Meghan Michels and Maddie Wheelock shared the District 5 girls player of the year honor, while Cascade Christian senior Audrey Quast was named goalkeeper of the year and Dave Potter of St. Mary’s was named girls coach of the year. Wheelock wrapped up the regular season with 27 goals and 20 assists with six hat tricks for the Crusaders, who earned their 11th straight conference title, while Michels was right on her heels with 25 goals, 17 assists and seven hat tricks. Quast registered four shutouts in goal and twice limited opponents to one goal for the Challengers. Cascade Christian sophomore Jonathan McCoy earned the District 5 boys player of the year award after netting 27 goals with 16 assists, while Canyonville Academy senior Cherokee Lester was named goalkeeper of the year and Ralph Van Delden was named boys coach of the year after guiding the Challengers to a program-best 11-3-1 record in his first season. Also earning first-team nods for the St. Mary’s girls were seniors Ibixica Alvarez, Gabi Castillo and Grace Weber, while the Crusader boys also got first-team nods for junior Milan Bobek and seniors Luka Cvijanovic, Andrew Michaels, Parker Lam and Preston Jernigan. Joining Quast on the 14-player District 5 girls first team were Cascade Christian juniors Bryton Plankenhorn and Braelyn Day, while the Challenger boys had seniors Levi Ellerbeck, Samuel Preszler and Jorge Gutierrez join McCoy on the 20-player District 5 boys first team. Rogue River freshman Makayla Drake and sophomore Alyssa Sizemore earned first-team nods with Illinois Valley senior Aarika Brooks on the girls’ side. First-team boys recognition also went to Rogue River juniors Garren Decker and Simeon Poston and senior Riley Valle, Illinois Valley senior Josh Merrill and sophomore Ian Cheshires of Rogue Valley Adventist. 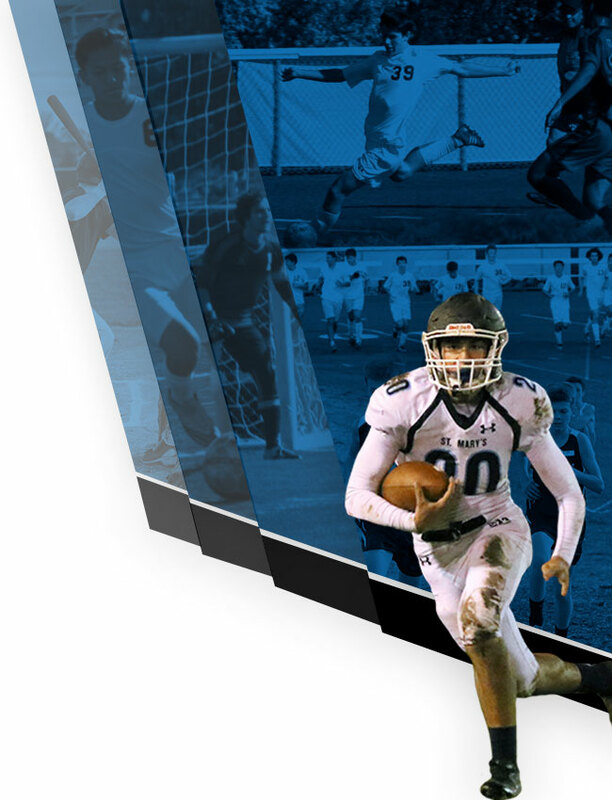 PLAYER OF THE YEAR: Jonathan McCoy, Sr., Cascade Christian. GOALKEEPER OF THE YEAR: Cherokee Lester, Sr., Canyonville Academy. COACH OF THE YEAR: Ralph Van Delden, Cascade Christian. Luka Cvijanovic, Sr., St. Mary’s; Andrew Michaels, Sr., St. Mary’s; Parker Lam, Sr., St. Mary’s; Preston Jernigan, Sr., St. Mary’s; Milan Bobek, Jr., St. Mary’s; Jonathan McCoy, So., Cascade Christian; Levi Ellerbeck, Sr., Cascade Christian; Samuel Preszler, Sr., Cascade Christian; Jorge Gutierrez, Sr., Cascade Christian; Garren Decker, Jr., Rogue River; Simeon Poston, Jr., Rogue River; Riley Valle, Sr., Rogue River; Josh Merrill, Sr., Illinois Valley; Ian Cheshires, So., Rogue Valley Adventist; Esteban Orozco, So., Lakeview; Carlos Soto, Sr., Lakeview; Shakir Mukhametzyanov, Sr., Paisley; Khampasith Luanglath, Jr., Paisley; Shawn Kitagawa, Sr., Canyonville Academy; Cherokee Lester, Sr., Canyonville Academy. Kaleb Webster-Wharton, Sr., St. Mary’s; Caleb Knight, Jr., Cascade Christian; Jordan Sills, Sr., Cascade Christian; Malachi Sitowskie, Sr., Rogue Valley Adventist; Andre Ramos Moreno, Sr., Paisley; Hezekiah Schalk, So., Illinois Valley; Tristaen Spaeth, Sr., Rogue River; Amaury Ndagijimana, Jr., Canyonville Academy. CO-PLAYERS OF THE YEAR: Meghan Michels, Sr., St. Mary’s, and Maddie Wheelock, Sr., St. Mary’s. GOALKEEPER OF THE YEAR: Audrey Quast, Sr., Cascade Christian. COACH OF THE YEAR: Dave Potter, St. Mary’s. Meghan Michels, Sr., St. Mary’s; Maddie Wheelock, Sr., St. Mary’s; Ibixica Alvarez, Sr., St. Mary’s; Gabi Castillo, Sr., St. Mary’s; Grace Weber, Sr., St. Mary’s; Samantha Nicholl, Sr., Lakeview; Brette Graham, Sr., Lakeview; Sammy Conley, So., Lakeview; Audrey Quast, Sr., Cascade Christian; Bryton Plankenhorn, Jr., Cascade Christian; Braelyn Day, Jr., Cascade Christian; Makayla Drake, Fr., Rogue River; Alyssa Sizemore, So., Rogue River; Aarika Brooks, Sr., Illinois Valley. Emma Bennion, Sr., St. Mary’s; Abbie Stephens, Sr., Lakeview; Cara Albertson, Sr., Lakeview; Lauren Anderchuk, Jr., Cascade Christian; Jesse Langfield, Sr., Rogue River; Alyvia Miller, So., Illinois Valley.